The Amazon Water Basin Unit comes equipped with a flush and rinse system. 1.) 12" high Light system - 4 ceramic fixtures or more installed for incandescent lights. 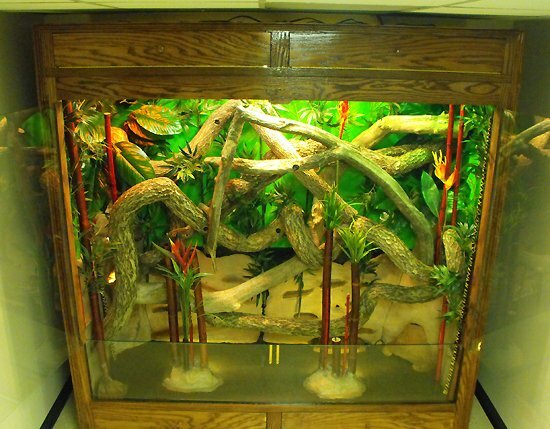 What makes this enclosure different from all the rest is that it has a sloped floor allowing the water to flow down to one side within one side of the units habitat base. The entire base of the unit is capable of holding water from 3/16" to approximately 12" of water. 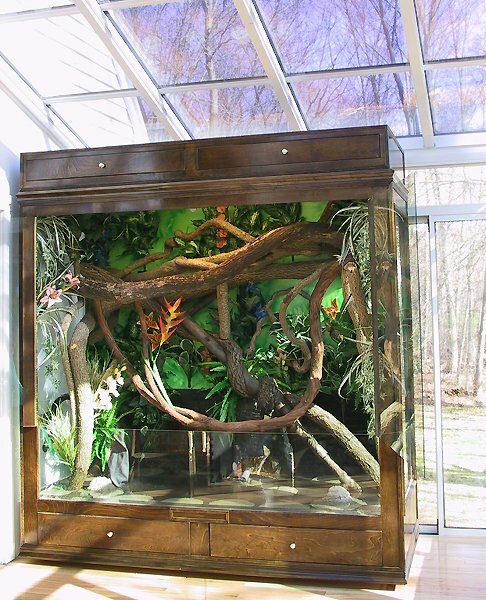 This unit provides a great source of humidity as well as bathing and drinking for tropical species. 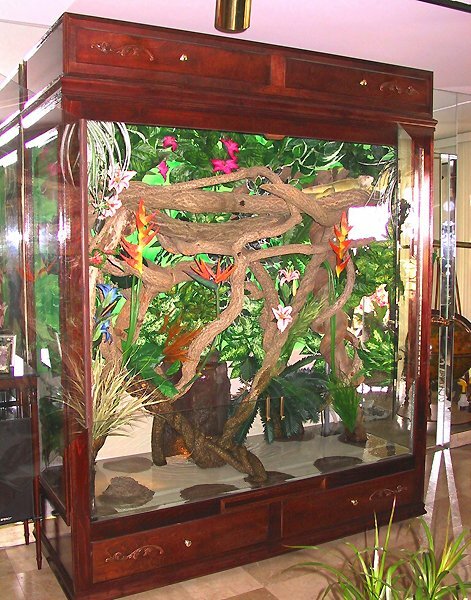 These enclosures are excellent for arboreal dwellers because the unit is generally designed to height of over 6 feet or more. 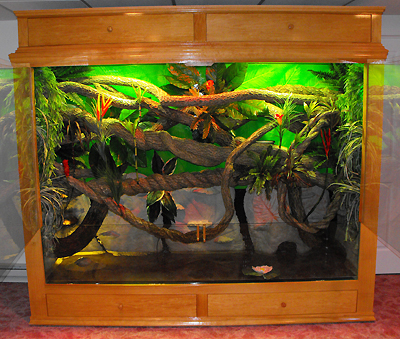 This system is perfect for tropical reptiles such as: Iguanas, Water Dragons, Chameleons, Tree Monitors, Pythons, Boas, and various geckos.